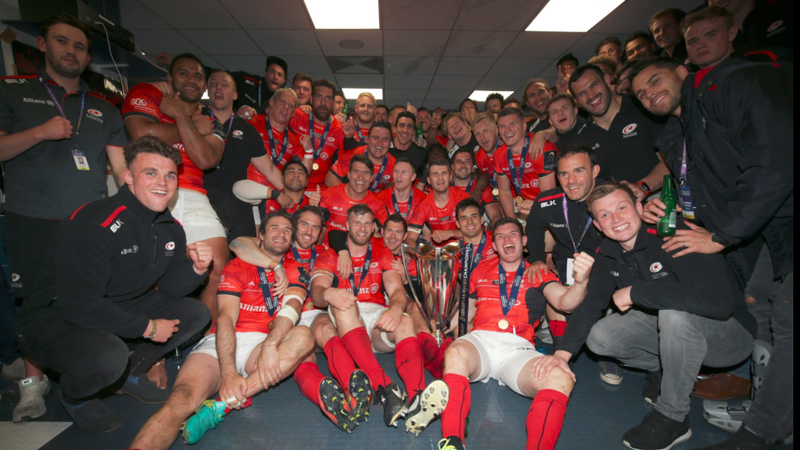 Huge congrats to Saracens for their Champions Cup victory over Clermont this weekend. Winning the competition for the second year running is nothing to be sniffed at - and to be unbeaten in Europe in 18 games is quite remarkable. I have to declare that Sarries are, to all extents and purposes, the club I tend to follow (insofar as I follow anyone), being the most local to me and being heavily involved in rugby development in the local area (young Master TF having attended a number of their county developing player training sessions). I have previously described Saracens as a "difficult team to love" - partly I think owing to their history of importing foreign (mainly South African) players en bloc, partly due to a suspicion that only lip service was ever being paid to the salary cap and partly thanks to what was, which even the most committed fez-head would admit, a somewhat perfunctory playing style. It can safely be said, however, that the modern Saracens set up is very different. I can't really comment on the salary cap, other than to say that the club does not tend to sign big-money marquee superstars. Instead they tend to develop from within and recruit where necessary based on character as much as ability. What is telling is that Saracens started Saturday's Champions Cup Final with 11 English-qualified players in their starting XV - with none of the four non-English players exactly being household names outside of Barnet. They also played vibrant and attacking rugby from the outset, showing just how far their game as developed over the years. There's clearly a huge collective bond between the players at Saracens these days for which Mark McCall (to whom the RFU should already be talking with a view to 2020) and the rest of the staff at the club can take huge credit.